When the trail ahead is as long as it is rough, you need equipment made to last and when it comes to tools for the trail and work, there simply is no better than the combination of Gerber and Hornet. 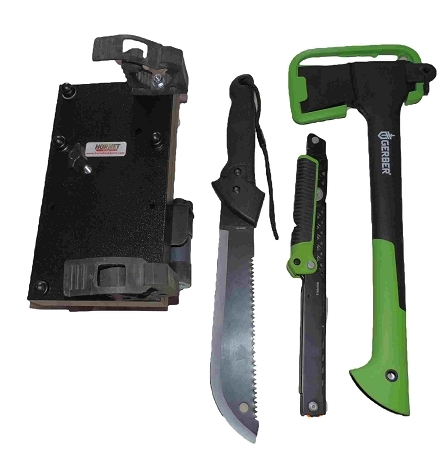 Features a full set of Three Gerber Tools for the Trail (included) and a custom machined High Density Polyethylene tool Scabbard, Two Solid Aluminum Rack Klamps designed to attached the tool rack to any Hornet Cargo Rack. Fits all Hornet Racks and Bed Rails. Made in USA. 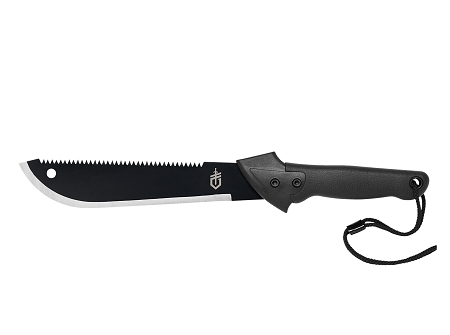 High Quality Gerber Tools include Saw, Axe, and Machete as described below. 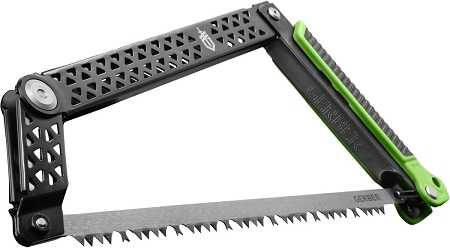 This evolved hatchet features efficient strength in a slim profile. With a new black PTFE coating on the blade and a unique grind technique, the steel blade is sharper than ever. 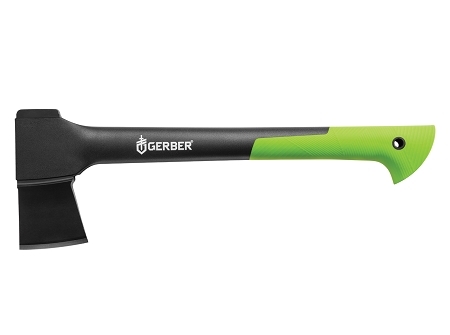 Expect clean cuts far longer than average from this smart axe, for use at the campsite and beyond. Custom machined with slots to fit the Gerber Saw and Machete,Two Hornet Polaris Ranger and General Twist Lock Anchors and Rubber Tool Grips to securely hold the hatchet.